Manila, Philippines - Controversial host-actress Kris Aquino admitted recently she's still healing a broken heart and today, she is back on Instagram with the new username inspired by her supporters. Last Tuesday, Aquino packed up her taping for a reason that she's not okay. She also hinted that she will not be active on image-sharing site Instagram for a while. On Thursday morning, Aquino returned to her official Instagram account with a message to her supporters. In the caption, she wrote: "Yes, He Broke My Heart, but 975,000 of you IG followers didn't... So I'm back & here to stay... I went down to get a cup of chamomile tea & saw all these flowers, balloons & in my kitchen so many fruits & cookies & cakes etc... God gently reminded me to stop giving importance to someone who hurt me & START CELEBRATING THE PEOPLE WHO LOVE ME! So I changed my username to @lovelovelovekrisaquino. (love, love, love) Good Night. Love you all. THANK YOU!" On her follow-up post, Aquino shared letters from sons Bimby and Joshua. "Mama, don't be sad. I will protect you. I love you. 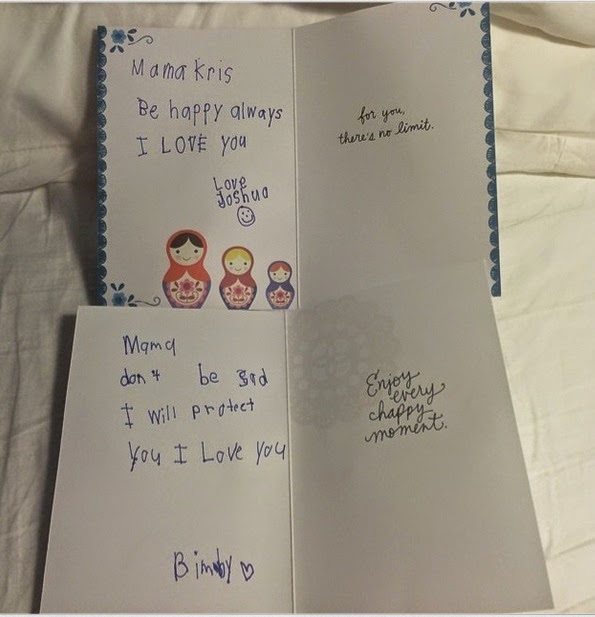 ", Bimby wrote to her mother. Aquino was linked to Quezon City Mayor Herbert Bautista. But, their relationship ended abruptly, with Bautista citing his love for his children as the reason behind the short-lived romance.